Let’s replay Internet Security-101, with apologies to the technically ‘ept’ (not the ‘inept’). However, the browser is checking not only the host site identity, but also the secondary site identity when there’s external content being loaded from outside the host. 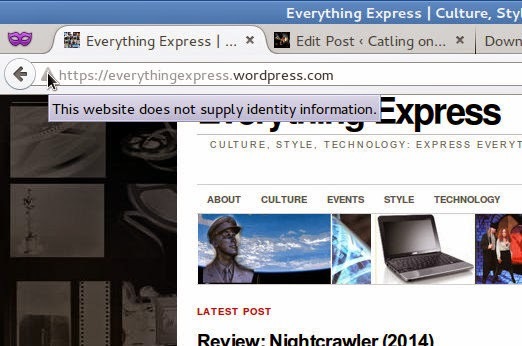 Now while Picasa also uses HTTPS under a certificate and has its own identity, that does not match the credentials presented for https://everythingexpress.wordpress.com/ – that’s if the Picasa credentials even make it through the call, which for this type of simple content call, they wouldn’t. In this example, I’m not going to worry; but then it’s from one of my sites, and I know what’s on there.